Evo & Grace: The WanderLusts: Rak of Aegis 6: Ready to Rock Again Some Baha Realness. Rak of Aegis 6: Ready to Rock Again Some Baha Realness. 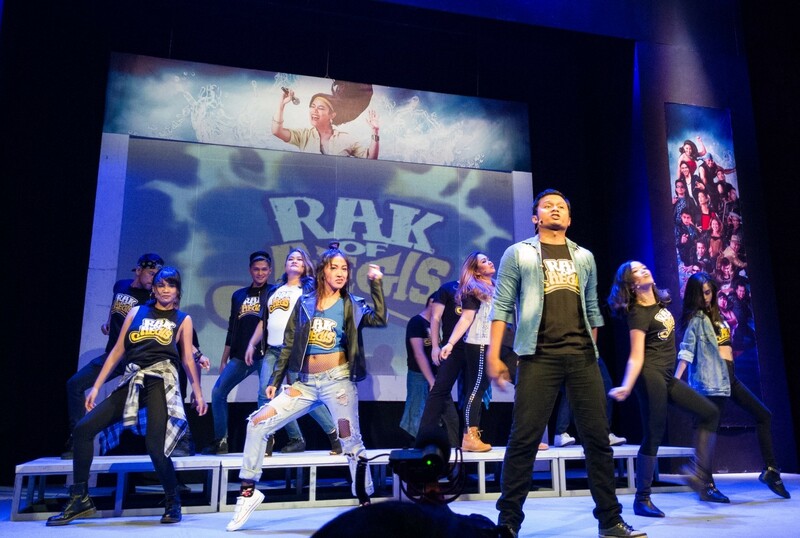 Quezon City, Philippines- the iconic original Filipino musical phenomenon, “Rak of Aegis”, is back for its 6th season at PETA theater stage with its original casts and additional new recruits from Hu Got Talent: The Search for The Next Rakstar. Aside from its well-received ever-relevant story, the latest season would introduce us to fresh-off-the-boat rakstars that will surely to slay the theater stage. Five seasons is a feat, but the sixth will be a legend. 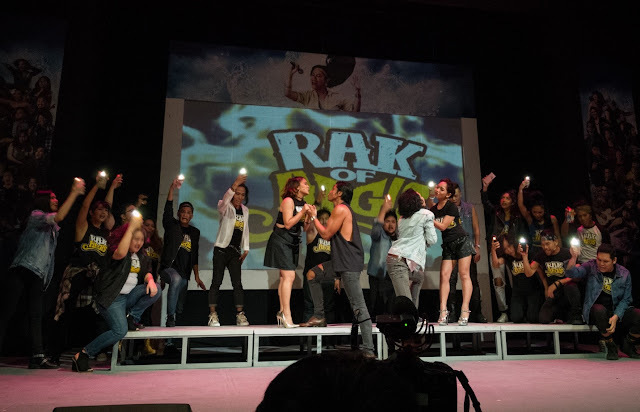 Dubbed as one of the most successful local musical theater production to date, Rak of Aegis is back for its 6th season with monster vocal performances of Aegis classics and with their fresh-catch talents that will give a new taste to the play. Inspired by the play’s character Aileen, the production will feature talents from their recently held Hu Got Talent: The Search for The Next Rakstar, which aims to discovery and give a break to local budding and promising theater actors of the generation. These fresh talents would not just give a serious performance to watch but would give us a life-imitates-art journey of Aileen’s character- a hopeful artist-wannabe chasing her dreams. An addition to the production that would surely not just give audiences a heartfelt performance but would surely change one’s life by launching their theater careers. Set in a flood-submerged barangay Venezia, the story revolves around Aileen, a young lad who aims to be a bigshot YouTube sensation which she sees as a stepping stone to the dream of being a guest in Ellen DeGeneres’ and earn some dollar. While her motivation’s at first seem shallow, she eventually realized that it is because she wants the world to know of her barangay’s condition: drifting off livelihood and health due to a flooded community. Amidst their unfortunate situation, barangay Venizia discovers a way to rise up and reclaim the glory and dignity that was nearly lost- a picture of Filipino’s resiliency and kapwa-tao. 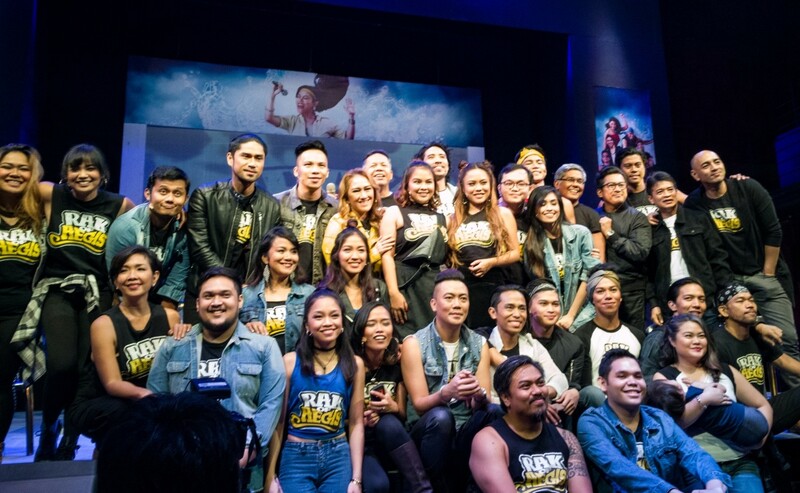 With a story that is not of a foreign land to all local audiences and transcends age brackets and professions together with Aegis’ timeless music, this monumental musical still lures new gives a treat of introducing theater to first time goers and also spreads magic to the veteran theater audiences. Returning to the stage are the original stellar cast members reprising the roles are Kim Molina, Isay Alvarez-seña, Sweet Plantado-Tiongson, Shiela Valderrama-Martinez, Carla Guevara-Laforteza, Robert Seña, OJ Mariano, Renz Verano, Lorenz Martinez, Jerald Napoles, Pepe Herrera, Joshua Bulot, Myke Solomon, Poppert Bernadas, Vince Lim, Neomi Gonzalez, Kakai Bautista, Joann Co, Gie Onida, Juliene Mendoza, Ron Alfonso, Phi Palmos, Jimmy Marquez, Roi Calilong, Gimbey dele Cruz, Carlon, Matobato, John Moran, Gab Pangilinan, Paeng Sundayan, Abi Sulit, Teetin Villanueva and Gold Villar-Lim. Screened from hundreds of hopefuls, PETA introduces the freshest faces from Hu Got Talent: The Search for The Next Rakstar who will join the Rak cast: WCOPA champion Shaira Opsimar and Princess Vire as Aileen, Tawag ng Tanghalan contender Kent Pontivedra as Tolits, theater artist and teacher Remus Villanueva as Kenny, Ateneo Blue Repertory RENT’s Adrian Lindayag as Jewel and , 5THGen band leader Marielle Mamaclay, TV Actor Gil Aguedan, Sandbox Collective Himala’s Matel Patayon, and Madison Event performer Crystal Paras as part of the ensemble. Another addition to the season’s run is also veteran theater artist and Palanca award-winning writer-director Rody Vera as Fernan.